I have to respectfully disagree with casting Daniel Craig but, I'm on board for Cumberbatch to don the cape and fangs. I just wouldn't want it as bloody as Gary Oldman's Dracula was. I believe a Dracula movie can be created without major gor. I too am a huge Bela Lugosi Fan. While we're on Universal Monster's subject. I kind of liked the Wolfman movie with Del Toro and Anthony Hopkins. 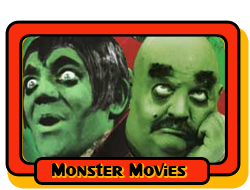 I would hope Universal will release more updated versions of the classic monsters. Last edited by Capt_Kirk; Nov 29, '18 at 8:07 AM. ^If you're looking for a less gory version of Dracula, the Frank Langella version is still the best IMO. Incredible well made and underrated film. BBC's New Dracula - Claes Bang. What can you tell us, Clem So? I like it a lot too. I prefer my Dracula to be an evil *******, but if you're going to go with the more romantic angle, Langella is great in the role. And it's romantic without being overly syrupy which I feel Oldman's version gets into, crying with his batface that just looks ridiculous. I love that movie for sticking with the beats of the novel with every other character, but they totally reimagine Dracula there. And they rip off the reincarnated love angle from the underrated Jack Palance version, which director Dan Curtis in turn ripped off from his own Dark Shadows! Somewhere along the way, Dracula ended up borrowing a lot back from Barnabas Collins. The BBC's last Dracula adaptation was execrable. I hope this new version is better--I try to be optimistic and open-minded about adaptations when they're announced. Anybody ever see Willem Dafoe in Shadow of the Vampire ? Dracula 79 is awesome. My favorite Dracula film. ^I'm a big fan of it too. I kind of dismissed it for a long time, but gave it another viewing about 10 years ago, and ever since I've really come to appreciate it. To me, Langella is the ultimate extension of the romantic, suave count that Lugosi developed for the play and his movie. And that scene with Mina in the sewers is the most unsettling image in any Dracula film.